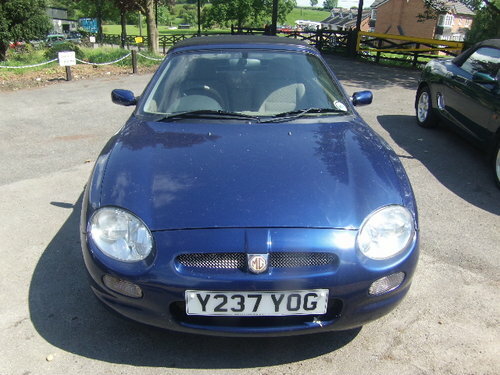 This ever popular MGF will come with 1 years MOT. Ready for those summer weekends. 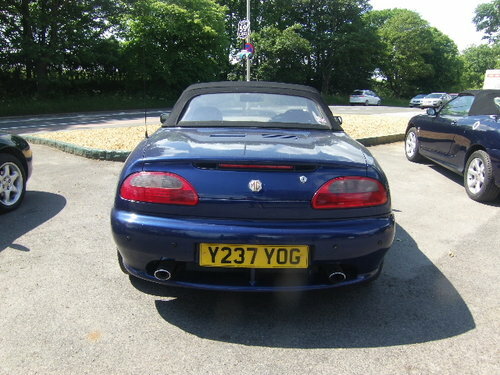 Exceptionally clean and low mileage example having only covered 7909 miles. The vehicle was stored indoors for several years before we acquired it. 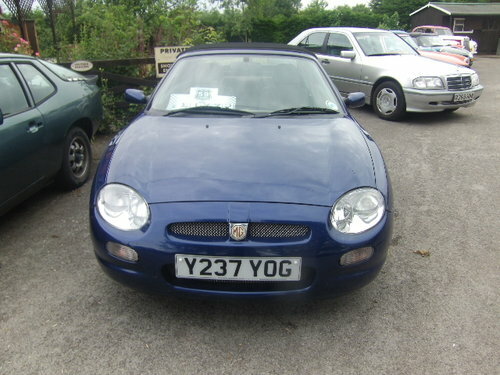 only 54000 miles NEW MLS HEAD GASKET , TIMING BELT AND WATER PUMP, LONG MOT FULLY SERVICED, DRIVES SUPERB, NEW MG MATS AND MUDFLAPS , CD PLAYER. 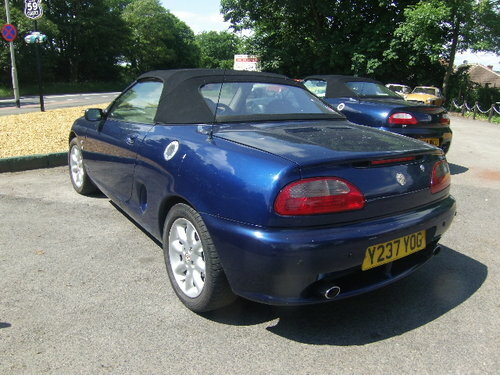 Very origional 96 MG 1.8 vvc Convertible with a full service history plus many invoices for work carried out.Last owner since 1998,Three owners in all. Drives really well.Finished in Metallic Grey with cloth trim.If interested please give me a call and we can chat about the car David. 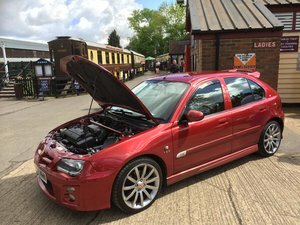 With just 52,000 miles, vehicle is in very good condition, inside & out. Drives nicely. Finished in Silver with black convertible roof and striking interior. In good condition throughout.